This Fortnite - Battle Royale Art Feat GTA Round Neck Men Long Sleeve T-Shirt is 100% Certified Organic Cotton Jersey 155 g / 4.6 oz. This Abstract neon Leopard Round Neck Men Long Sleeve T-Shirt is 100% Certified Organic Cotton Jersey 155 g / 4.6 oz. This Aloha Round Neck Men Long Sleeve T-Shirt is 100% Certified Organic Cotton Jersey 155 g / 4.6 oz. This Nutella Round Neck Men Long Sleeve T-Shirt is 100% Certified Organic Cotton Jersey 155 g / 4.6 oz. This Poetic Creature Round Neck Men Long Sleeve T-Shirt is 100% Certified Organic Cotton Jersey 155 g / 4.6 oz. This Ribbon Cat Round Neck Men Long Sleeve T-Shirt is 100% Certified Organic Cotton Jersey 155 g / 4.6 oz. This Je ne suis tout le temps chiante PARFOIS Je dors Round Neck Men Long Sleeve T-Shirt is 100% Certified Organic Cotton Jersey 155 g / 4.6 oz. This SUMMER LOVE Round Neck Men Long Sleeve T-Shirt is 100% Certified Organic Cotton Jersey 155 g / 4.6 oz. This Baby cat, cute kitten climbing Round Neck Men Long Sleeve T-Shirt is 100% Certified Organic Cotton Jersey 155 g / 4.6 oz. This gold glitter anchor in black Round Neck Men Long Sleeve T-Shirt is 100% Certified Organic Cotton Jersey 155 g / 4.6 oz. This K-pop BTS Bangtan Boys Round Neck Men Long Sleeve T-Shirt is 100% Certified Organic Cotton Jersey 155 g / 4.6 oz. This Key Of Love Round Neck Men Long Sleeve T-Shirt is 100% Certified Organic Cotton Jersey 155 g / 4.6 oz. This KTM Racing Orange And Black Round Neck Men Long Sleeve T-Shirt is 100% Certified Organic Cotton Jersey 155 g / 4.6 oz. 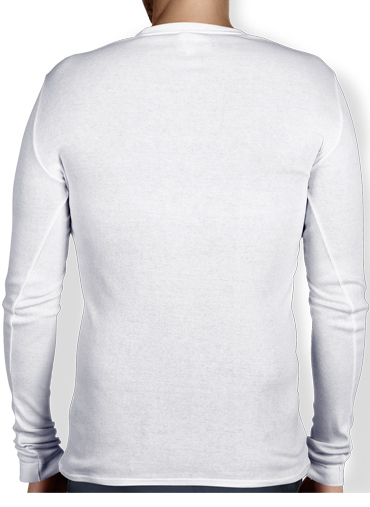 This Sangohan Round Neck Men Long Sleeve T-Shirt is 100% Certified Organic Cotton Jersey 155 g / 4.6 oz. This I cant i have Fortnite Round Neck Men Long Sleeve T-Shirt is 100% Certified Organic Cotton Jersey 155 g / 4.6 oz. This Hyrule Art Round Neck Men Long Sleeve T-Shirt is 100% Certified Organic Cotton Jersey 155 g / 4.6 oz. This Robotic Hoover Round Neck Men Long Sleeve T-Shirt is 100% Certified Organic Cotton Jersey 155 g / 4.6 oz. This Fox Round Neck Men Long Sleeve T-Shirt is 100% Certified Organic Cotton Jersey 155 g / 4.6 oz. Discover on cPrestige an unique collection of Mens Long Sleeve T-shirt for mens. Our print Mens Long Sleeve T-shirt are easy to wear. At school, college or university, but also for all daily trips, our Mens Long Sleeve T-shirt remain high more convenient and more comfortable. Whatever the season, wear Cprestige.